The 13M2-2-6 is a high quality 2.2 to 6mm vari-focal lens from Pelco that is ideally designed to be connected with compatible cameras to ensure an area is properly monitored with clear image quality capturing. The 13M2-2-6 megapixel camera lens comes with a 2.2 to 6mm focal length, a slip mechanism for easy connection to the camera, aspherical elements, a CS-mount type, a 2.7 x zoom, as well as a 100 lines resolving power, and 3 megapixel support. The13M2-2-6 camera also features a 1/3-inch sensor, support for Pelco Sarix cameras, an F/1.3-2.0 aperture, a 6mm diameter, plus a 91° wide vertical angle of view, a 0.3m object distance, and a 12.5mm flange focal distance. 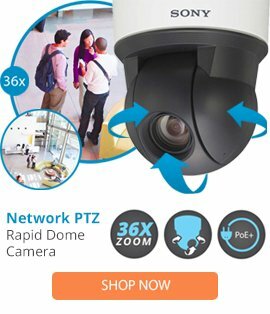 This professional megapixel security camera lens is able to provide simple setup, and offers clear image retrieval within many applications for easy viewing by the operator.